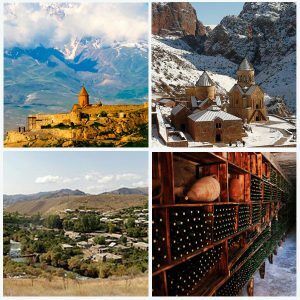 Built on top of a basalt plateau near city of Goris, Tatev Monastery (IX) provides an awe-inspiring, breathtaking view of the surrounding mountains.The plateau has been in use since pre-Christian times, hosting a pagan temple. 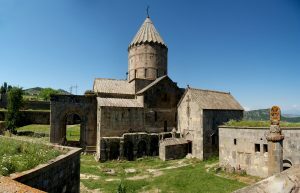 Following the Christianization of Armenia in 301 CE, the temple was replaced with a church; themonastery began its development in the 9th century, when it became the seat of the bishop of Syunik. 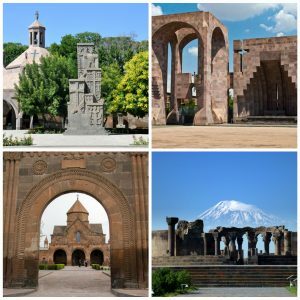 It served as a repository for thousands of valuable manuscripts, monastic and official documents and contracts, as well as a university (1390-1434). 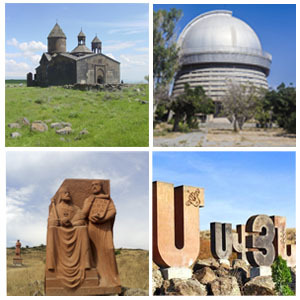 Like many Armenian monasteries, Tatev is located in an elevated tranquil place, where one is closest to God. 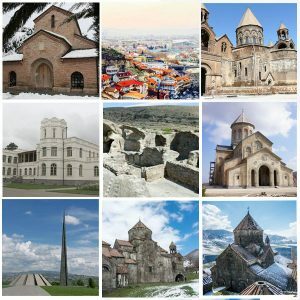 There are two stories about the origin of the Monastery’s name. One legend tells of the builder, who after finishing his work walked to the edge of the gorge, crossed himself, saying “Lord, give me wings”, and jumped into the abyss. 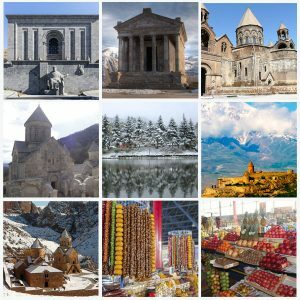 Suddenly, the builder had wings and flew away, so the monastery he built was named Tatev (Give-Wings).Another version states that Tatev was named after Eustateus, a disciple of St. Thaddeus the Apostle, who preached and was martyred in this region, and whose name later evolved to Tatev. There are two ways you can approach this magnificent place. By road, winding through Vorotan River Gorge and along quiet plateau fields or by new aerial tramway the Wings of Tatev, built in 2010. It is the longest reversible aerial tramway and holds the record for Longest Non-Stop Double Track Cable Car. Three massive supports divide the rope way into four sections, with the longest at 2.7 kilometers. From this section, you can enjoy a grandiose view as you approach the Monastery.